The best way to earn maximum cash is to do it as a team. Play as a mafia family and hire powerful mercenaries in this new expansion for Ca$h'n Guns. 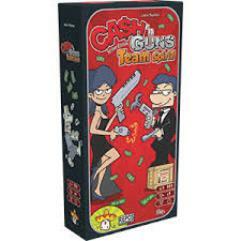 Team Spirit is an extension for the game Ca$h'n Guns Second Edition. The basic game is necessary to play.